We don't just create great smiles, we inspire them. 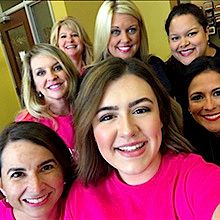 Dr. Irelia Machado and the team at Smiles for Life Orthodontics would love to help you achieve the confident, beautiful, smile you've always wanted! 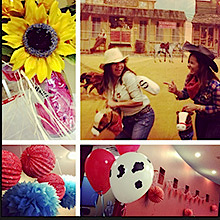 We offer leading-edge technology, in a fun, welcoming environment--Where you are the top priority! Dr. M. and her team of professionals will design a treatment plan around you and your unique goals and needs. You and Dr. M will work together to make sure that you feel excited about your treatment and the results you're going to achieve. We believe that information and knowledge are important when you are undergoing orthodontic treatment. We take the time to make sure that both you and your family are kept fully informed throughout the treatment process. 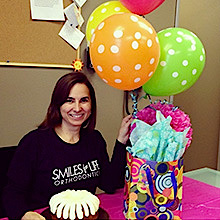 Dr. M. and her team at Smiles for Life Orthodontics look forward to welcoming you to their family! We assist patients of all ages and backgrounds in reforming their ideal smiles with a variety of orthodontic treatment options. No matter what condition your teeth remain or what your areas of concern might be, we always have practical solutions. During your free initial orthodontics consultation, we meet you to discuss your goals and which options suit you the best. Whatever you need for us to find your perfect lasting smile, we always have a safe and effective treatment plan. 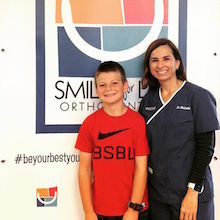 Whatever you need from our friendly staff, we guarantee the best, brightest smile possible when you choose us for orthodontics. See why more families and patients turn to our team for the best in local treatment options for straighter teeth. As we expand, we welcome and treat patients from the immediate surrounding communities, helping more people rediscover their perfect smile. No matter where in town you reside or which of the neighboring cities you live, we already treat your neighbors. You can rely on us for convenient office visits and more procedure options, giving you the best treatment possible daily. Whether you know that you need a braces system for your mouth or an initial consultation, just call us today. 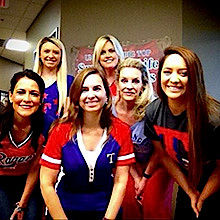 It’s no wonder why more patients throughout the greater Denton County area still turn to our staff for better smiles. 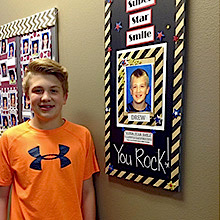 Call our office today when you need a qualified team of orthodontics health providers and see the results you expect. Our staff knows that every mouth remains different from all others, and no two patients need the exact treatment options. That is why we continue to provide more brands of braces systems and many orthodontic procedures for more healthy smiles. Some people get born with textbook-perfect teeth, while others may have severe concerns that form naturally during their body’s development. No matter what condition your mouth may currently stay in or what goals you have for us, we guarantee results. Other offices may rely on one or two forms of mouth braces, but they don’t always help everyone’s crooked teeth. Instead, we do our part to provide as many procedures and straightening systems as we can for more eager patients. 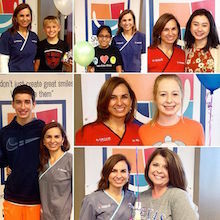 See why more area residents continue to choose us at Smiles for Life as their preferred Flower Mound orthodontists. Earn tokens throughout your treament, and turn them in for gift cards of your choice!